During the yearly kapittel a number of deserving persons are being introduced into the Order. They are being sworn in and they promise to support and promote the European recognised regional product O’de Flander whenever and wherever it is possible. These members are from different sectors: politics, economy, media, culture and sports. 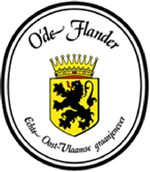 Today we have 327 enthousiastic defenders of O’de Flander, including all participants of the Geneva course.